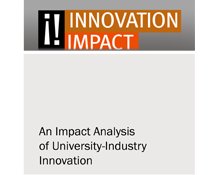 Since 1985, the University at Buffalo has partnered with over 170 innovation enterprises in the region, in many cases providing research and technical assistance, connections to venture capital and access to incubator space. These university-industry partnerships have helped fuel the region’s growing knowledge economy through the creation of new jobs and businesses and the development of products and services that advance society. To provide a comprehensive and objective understanding of the value of these partnerships, the UB Regional Institute was commissioned in 2009 by the University at Buffalo to assess the economic impact of select university-business partnerships through the Center of Excellence in Bioinformatics and Life Sciences and the UB Office of Science, Technology Transfer, and Economic Outreach.